Regular players at various online casinos are often rewarded for their loyalty. They are given loyalty points that usually come in form of complementary points or comp points they gather with every bet they make. As they play games, they earn comp points and after they gather enough points they often redeem them for cash. Loyalty bonuses and frequently associated with loyalty schemes and VIP programs in a way that as your loyalty increases so is your VIP status. If you are considering of becoming a regular online casino player, continue reading to familiarize more with the loyalty program and the advantages of joining one. 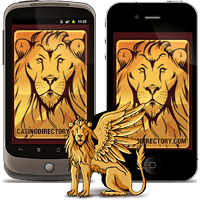 In addition, consider joining the loyalty bonus programs of the recommended online casinos below. What Are Casino Loyalty Bonuses / Programs? The comp points given as part of a casino loyalty VIP program are tied to the amount you bet on games and players are automatically signed up to receive comps once they register an account and make a deposit. In most cases you are given 1 comp point for every €10 wagered on slots, while other games contribute a smaller comp point percentage. Afterwards, when you gather enough points, you can exchange them for bonus credits, prizes or cash and this depends on the casino. In addition, quite often as you gather points, you also increase your loyalty tier or VIP status and you get more exclusive perks such as higher comp point conversion rate for Bronze level etc. With a tiered loyalty scheme, as you gather comp point you reach certain milestones in order to reach a new loyalty tier which entails exclusive perks and rewards. A milestone could also be how long you have been a loyal player in a casino. The special treats are exclusive and your participation rate is higher which means that only players at certain loyalty tiers can get them and they are not available to new players. Why Should Anyone Join a Loyalty Bonus Scheme? There are many exclusive treats and red carpet luxuries regular online casino players can get if they join a loyalty bonus scheme. For example, at particular loyalty tiers they can get their own personal account manager or higher comp point conversion rate. They also get better and improved bonuses and special promotional offers. At some loyalty levels they can also get special invitations to private tournaments, tickets to exclusive shows or sport events and even holiday tickets to exotic lands. In addition, some loyalty bonus schemes give birthday gifts to their most valued members as well as luxury items like jewelry, watches and so on. All Slots Casino has a Loyalty Club where loyal players gather comp points for every €10 wagered. After they gather 1,000 points they can redeem them for €10 in bonus credits or cash. They also move up the loyalty tires (Bronze, Silver, Gold, Platinum and Diamond) and get more special perks. 888 Casino also gives free cash to players just for playing games. For every €10 wagered, players get 1.35 comp points. Every 135 comp points is converted to €1. The more you play the more cash you earn, so make sure you play the games like slots that count a higher percentage toward earning points. Drake Casino (US-friendly casino) has VIP Rewards Plan where players earn rewards points for every bet placed on a casino game. The points can be redeemed for bonus credits or for amazing prizes. The rewards points can also be used at other VIP Rewards Plan partner sites as well. The Rewards levels are the following: Amber, Bronze, Silver, Gold, Platinum and Diamond.